Congratulations to "Sandra", the winner in Kat's giveaway. Thank you to all who participated! I’ve got a new book coming out. INTO THE WHIRLWIND is Megan O’Brien and Dirk Reynolds’s story, the second book in my BOSS Inc. trilogy. 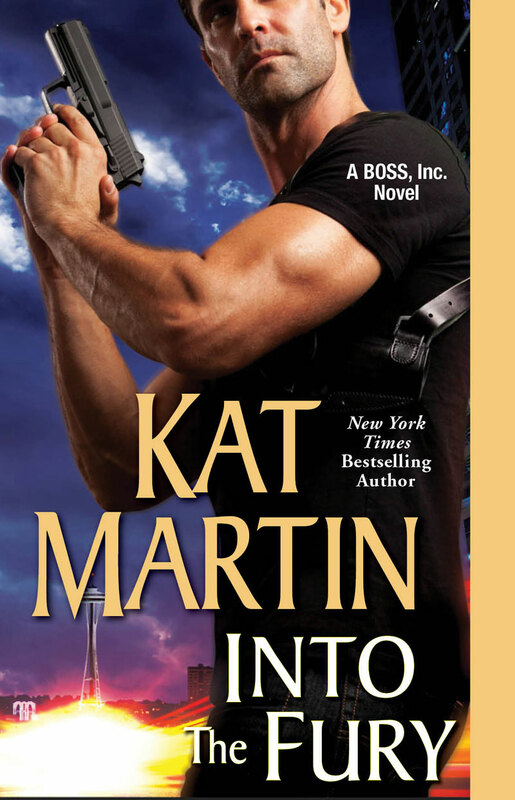 When Meg's three-year-old son is kidnapped, the former lingerie model goes to the only man she trusts, private investigator, Dirk Reynolds, her former bodyguard, the man who was still owns her heart. Desperate for Dirk’s help, Meg is willing to risk everything to save little Charlie. I don’t like to read reviews. It’s hard enough staring at a blank screen, trying to come up with plots and characters, finding just the right words without reading a negative review that makes me afraid to write at all. I’ve learned to avoid them as much as possible so I can keep my confidence level high enough to actually write a novel and finish it. But as I await my new book’s release and begin to write a blog about negative reviews, I find I am curious. Are there readers who don’t actually read the books they give a negative review? 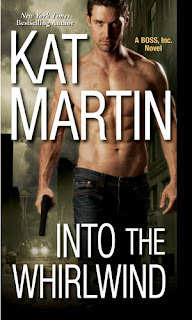 Recently, I read a two star review of one of my older novels, a book in my AGAINST series. The review said it was nothing but high school girls giggling. I was amazed at this, since the heroine is really the only woman in the story. It’s one of my more sophisticated plots about drug cartels and the abduction of a child into Mexico. I had to wonder if maybe the reviewer was reviewing someone else’s book and got the names mixed up. Whether or not that’s true, the words are now stuck in my head. Negative reviews are something all authors have to deal with. The problem is our brains remember the single one or two star review a book gets instead of the sixty or so four and five star reviews it gets. Sad but true, though why that is, I have no idea. I can probably still quote you lines from a bad Publisher’s Weekly review I got twenty years ago! Since then, I’ve learned the best way to handle negative reviews is to not read them at all. The ones you can actually glean something useful out of are the three star, four, and five star reviews that might include a suggestion the author can weave in her writing. I’m praying for very good reviews for INTO THE WHIRLWIND, one of my personal favorites, and believe me, we authors appreciate the work that a reader puts into writing a review of our books. So thank you for that in advance. I hope you’ll watch for INTO THE WHIRLWIND and that you enjoy it. If you haven’t read INTO THE FURY, book number one, I hope you’ll look for that, too. The few clues they've gathered send them spiraling into a murky world of high-stakes gambling and international crime. Meg may be way out of her depths, but she's seeing a side of Dirk she never suspected–one no woman could possibly resist. Kat will be giving away one copy of INTO THE FURY (paperback, Kindle or Nook - winner's choice) to one lucky person leaving a comment or email entry. US Only. Giveaway ends 11:59pm EST June 2nd. Please supply your email in the post. You may use spaces or full text for security. (ex. jsmith at gmail dot com) If you do not wish to supply your email, or have trouble posting, please email maureen@justromanticsuspense.com with a subject title of JRS GIVEAWAY to be entered in the current giveaway. US residents only. I really think authors should stay away from reviews! Good or bad, they're intended for other readers and not every story is going to appeal to everyone. Negative reviews have often swayed me into reading the book because what one reader disliked actually intrigued me. So, they can be helpful...to other readers. For the writer, who wants to read something negative about the thing you poured your heart into and loved? It hurts no matter how well written or intended. Let your editor (or someone you count on for critical feedback) read them and capture the relevant takeaways. Leave your mind unfettered with stuff that may only create self doubt and erode your confidence. It's hard enough to do what you do! I love writers and never want to hurt their feelings. My reviews are for readers and I pray the authors of those books where I've written less than stellar reviews never read them. Keep writing and stay away from reviews! I don't leave bad reviews...if I dislike a book I just don't finish it. It kills me when someone leaves a 1 or 2 star review and a couple of words and you know they didn't read the book and were just being nasty. This happened recently to one of my favorite authors who is a self publisher...so unfair. An author friend received a one-star review on Goodreads from someone who had obviously not read her book. This reviewer had 18000 reviews, which were all one and two-stars. Yes, eighteen thousand. That would require reading a book a day for almost 50 years. Get real! My friend contacted Goodreads who refused to even look into it. They told her that a person does NOT HAVE TO READ A SINGLE WORD of a book to review it. Seriously? This is unfair not only to the author, but also to other readers whose decision to read or not read a book is swayed by this reviewer's totally false review. Goodreads needs to change its attitude before their site becomes a joke. Bad reviews can really be painful. Actually even a good review with a single bad remark is painful, because you put all of yourself in your writing and seeing someone who just spent a couple of hours reading it spitting poison on your work is really hard. This is what I personally feel, and I think it's normal for an author. On the other hand, I think readers must write a bad review if they didn't enjoy the book for whatever reason, even if it isn't really fault of the book. There can be so many reasons and it's almost always related to the reader, because somehow a different version of each book exists for each person who reads it, sometimes also for the same person if they re-read it in a different period of their life. Moreover there are some cultural and regional differences in the way a book is received. For instance, I'm Italian and I'm aware that my books translated into English can be quite far from what a reader from another country could expect. Moreover there are the so-called trolls, people who just write bad reviews for fun. As author, we can just do our best to write great books and the good reviews will come, eventually. And we also should ignore reviews at all, because it's something between readers. I can't imagine how difficult it is for a writer to either read bad reviews, or to force themselves from reading the reviews at all. I once recommended a book to one of my friends that was a 5-star book for me. I saw she rated it with only 2 stars on Goodreads. I couldn't believe it! It just shows you that everyone is different.